The second and last day of the conference (day 1 is covered here) started early, with a keynote: “Science society continuum: From ‘deficit model’ to social demand on research – the reform of science in progress” Lionel Larqué, FR – [physicist and head the collaboration of education, civil society organisations, and science. Influenced partnerships between science and society on non-deficit model of science.] The organisation ALLISS was set in 2012 – to address Science & Society Continuum. There is a book on “sciences participatives” and it is in French and aimed at the local community. Speak from the French perspective, the founders of the institution that he runs – 1800 members (institutions) and 15-20 years of cooperation. Science-society concepts: seeing it as good answers for the wrong questions, at the background of the public policy – what we can and can’t do. Science/society came from institutions – a structural bias, it came from scientific and European institutions – the reason to start it. It starts with wrong and incomplete data, ideas from the 1970s and 1980s about mistrust of citizens in science. What is the reality of current public view on science is unknown, we don’t know if the questions were well written. The policy was based on scientific prejudice, and assumptions about public mistrust in science – but generally, from 1972 to today, in France 78%-85% people have trust in the knowledge from science (without linking to technology or how science run). There is no strong data that will show the strong mistrust and mix criticism with mistrust. The French science academy is full of non-rational scientists who feed the discourse of public mistrust. A lot of bad reasons for creating agnotological public debate – some scientists want to instrumentalise the public debate. by saying that there is a mistrust, then you can rely on deficit model and ignore the public and that is useful. It also seems obvious to claim that it is obvious, as all institutions face mistrust – politics, media, law and order, and therefore assume that science is also getting it. The pressure on scientists is getting higher and the scientific community is suffering from the pressure – political power, social actors, finance. Scientific institutions are the last trusted institutions and ask to answer all the questions, and the scientists feel pressured by these demands and they see that as a problem that they want people to leave them to their own actions. There is a vicious cycle of address the deficit model because. ALLISS put forward the idea that we need to ask the new question. We need to face institutional walls – they don’t want to accept that society at large is way more educated and therefore scientific institutions need to change. ALLISS tries to figure out the institutional challenge. The French situation: high level of trust from the public towards science, but criticism towards the institutions. 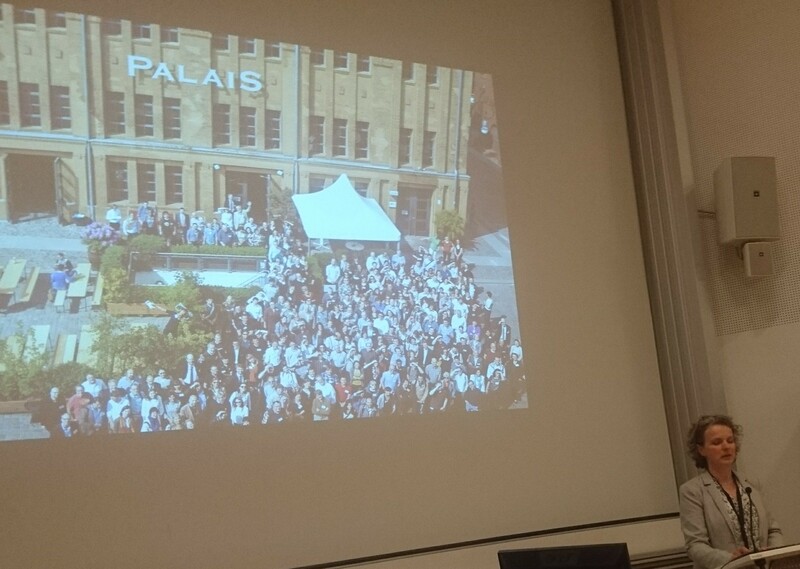 There is a large scale cooperation between civil society organisations and scientific organisations (CNRS, INRS…). The number is very high, but the institutions are not looking at it in their strategic plans – cooperation developed despite institutional policies. In 2001-2009, the World Social Forum, from 8500 workshops, only 70 talked about science and technology. For a lot of social actors, science is outside the frame and in 2007 launched the “science and democracy world forum” – can we share a common view about it? The workshops show that dialogue was not the issue, but what can we change the context – what can you do to change partnerships. Need to change something: policy, concept, etc. . A mass of initiatives won’t be enough to change policy. The barrier of science institutions is a big barrier and it hasn’t changed from the 1970s to today. The main tradition of science is a problem for citizen science – it is put in a box and put into a specific space so it won’t change the bigger institutions. 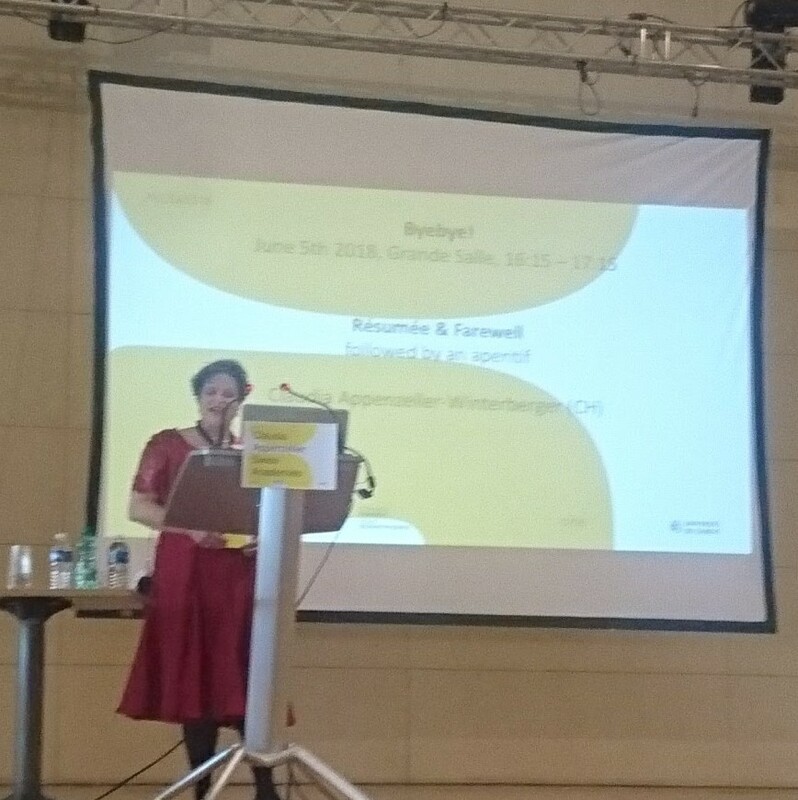 Citizen science dynamics is one that allows us to change things: we need to understand where we came from – design of research and science policies – the key design was for making Europe stronger, rebuilt, and link science and industry. Now there are local actors, local groups, and the science-policy doesn’t have tools that allow that – a non-industrial research policy focused on society is needed. Scientific institutions we have a wider policy alliance. Are the people that work in museums, institutions. Things won’t change the way we want them – they don’t have a sequential process, e.g. feminism impact in scientific study and what helped: bicycle, war, and image in the mass media in the 1960s of women in the media. Changes are not rational, but even when the forces are strong we need both the cumulative experience and the politics. 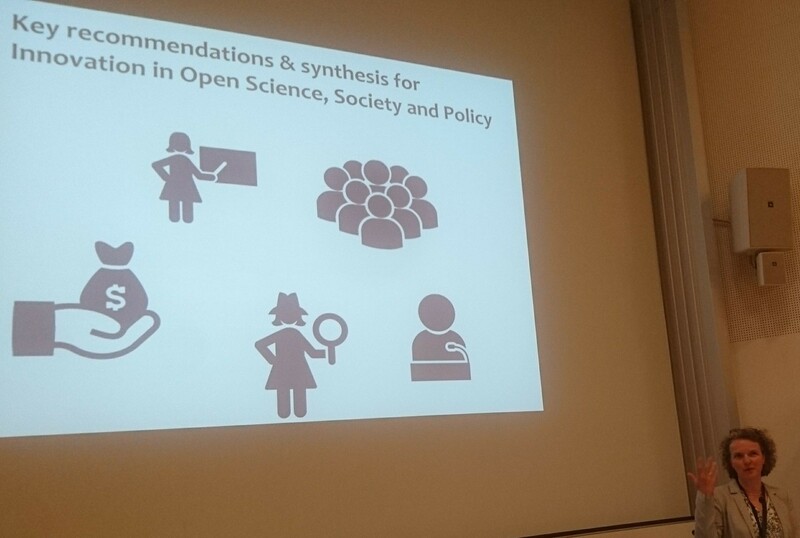 Open science initiative might help us, maybe close to the SDG initiatives and we can explore them through research. We observe that the sociology of citizen science is that a lot of citizen science is coming from institutions that propagate the deficit model and we need to play both with these institutions and the cost are very high. We need to be clear that we need a change, we understand what we can change and what can’t be changed. The Shock Doctrine is something that we need to be aware of it – think outside ourselves. ALLISS and ECSA need to be ready. Claudia Göbel, Michael Jorganson , ECSA (DE). 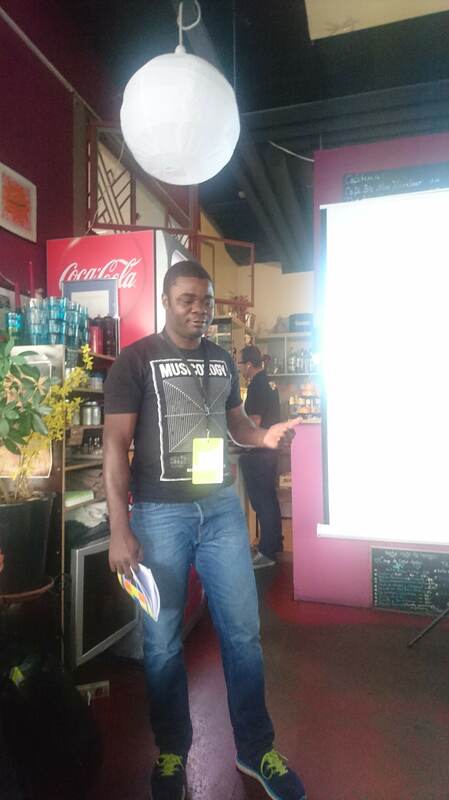 Notes on https://etherpad.wikimedia.org/p/ECSA2018-EIE and there are issues at Michael: CBR – civil society have issues that need to be addressed by authorities but this need to be documented, There is also need for the development of new knowledge or new proposals (e.g. urban agriculture). Empowerment – knowledge might empower – but not enough, there is also translations and alliances to make it effective. There are sometimes need to figure out new methods in the institution and in society. Working deliberately with empowerment. Claudia – looked at the Soleri 2016: empowerment – capacity to make a change. 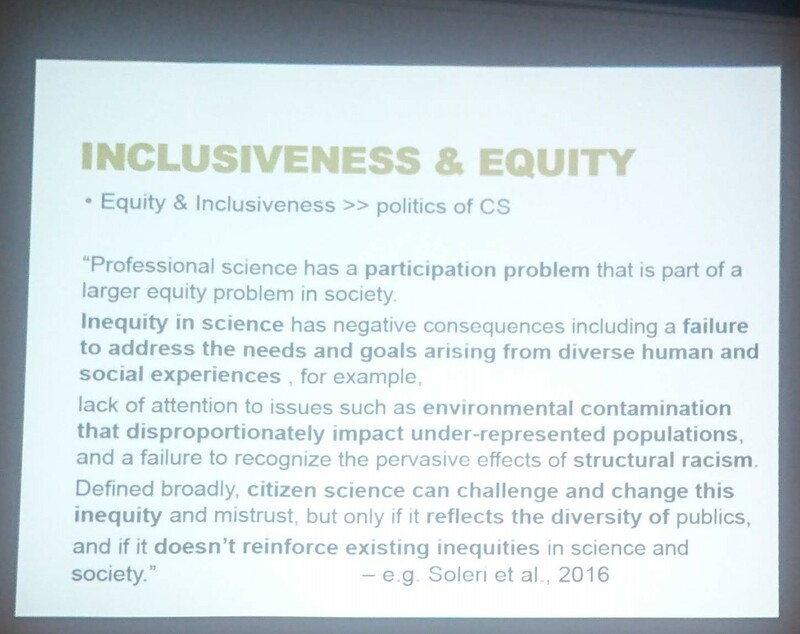 The terminology can be about equity and inclusiveness. 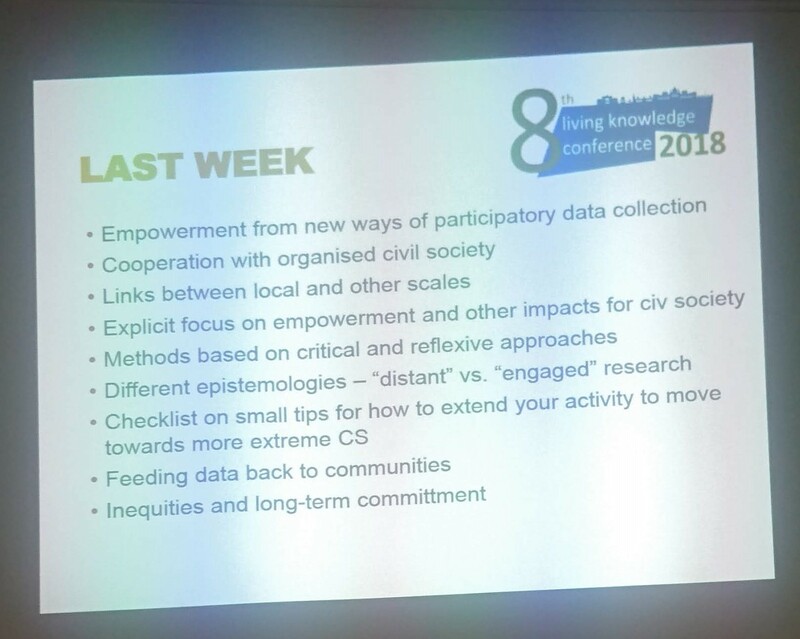 It’s about who is participating, and it builds on conversations that evolve from the CSA conference but also ECSA conference in 2016, workshops in Living Knowledge conference, policy roundtables. 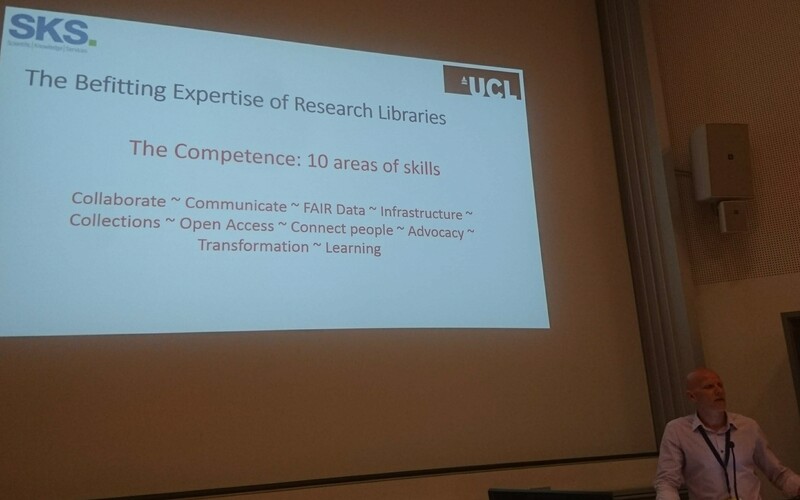 From the living knowledge conference, there are different ideas about research, especially different epistemologies of science “distant vs engaged research. The idea of a working ground on empowerment and some activities that a group can do. 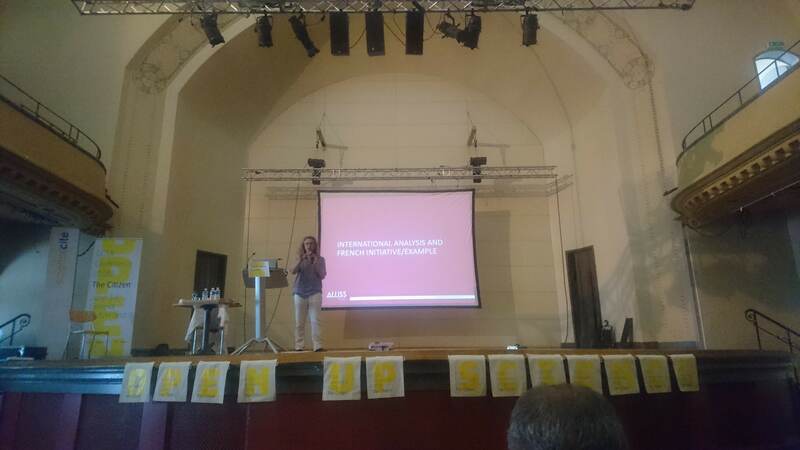 Barbara Kieselnger – ideas of citizen social science – building on participatory action research, data activism, action research – but we now combine it with other sources. Done a classification of citizen science projects. 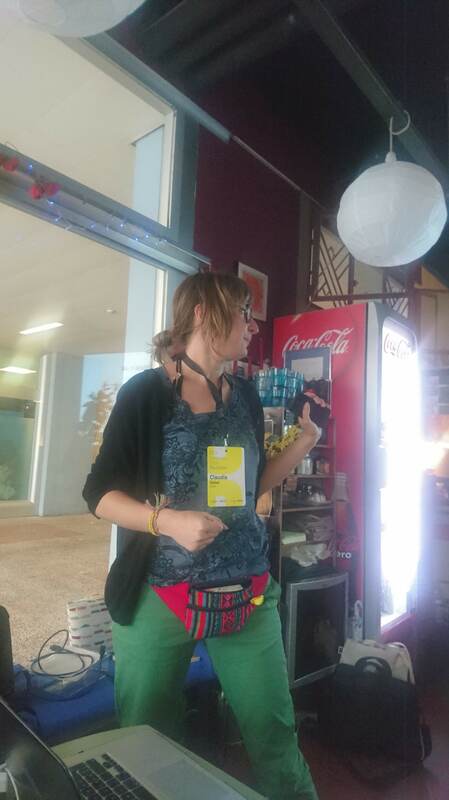 Different projects that engage citizens, for example, a project in Barcelona and using an existing of environmental activists and political and street actions. Want to understand ozone pollution. The Careables – it’s a project which involves people with physical limitation and maker communication, sharing the co-design openly. 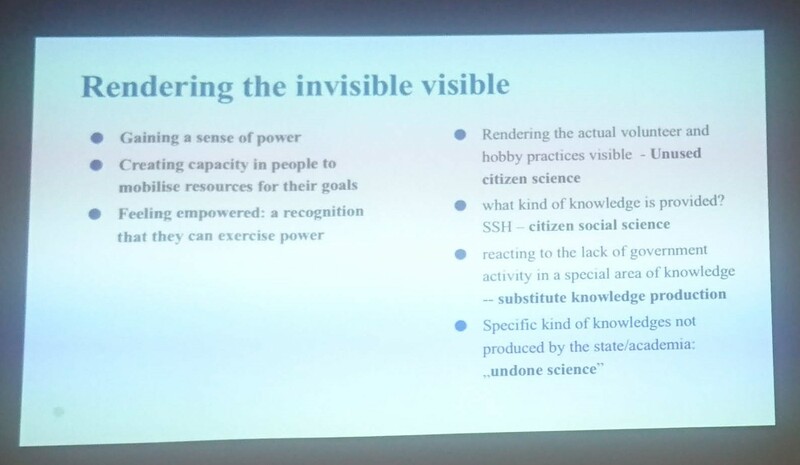 Balint Balazs – pointing about the silence of citizen science in central Europe (same issues at the UCL workshop on Geographical Cit Sci). Making invisible project visibility. Thinking of citizen social science. Aspects of empowerment: autonomy, competence, belonging, impact, meaning, resilience – need to think how they work. Thomas Hervé Mboa Nkoudou– question the notion of inclusiveness: e.g. a transgender friend that ask about having us as a bigger group to colour a project. Adding a symbolic inclusiveness. In order to put in evidence the power of community – a summit in Ghana on the AfricaOSH – a big conversation about making/ hacking/bio-hacking and to bring together as a community what is the open science mean to us. 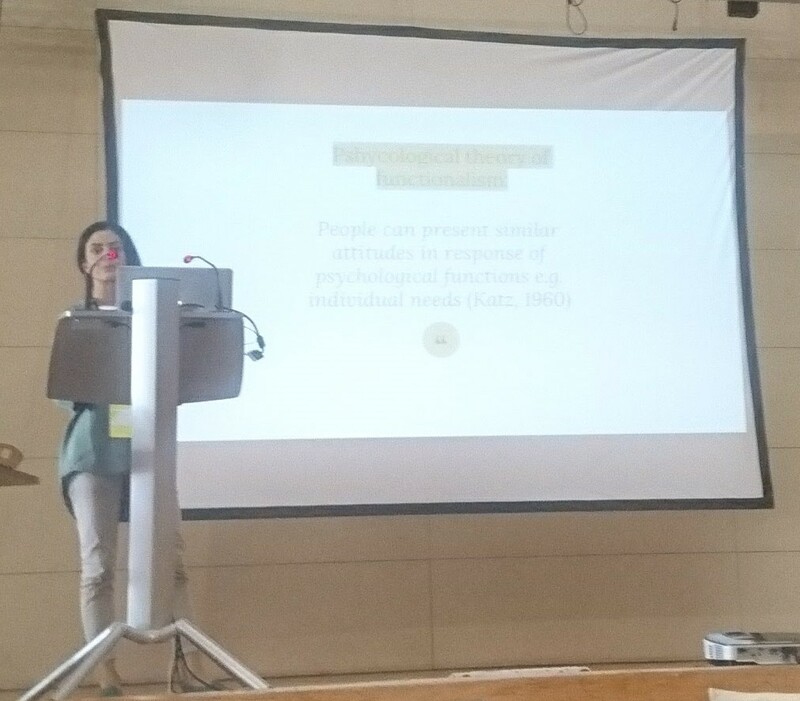 Muki Haklay – I’ve focused on passive and assertive inclusiveness, the need for a more nuanced view of participation as we have societal benefits from highly educated people, and the problem of methodological individualism in the analysis of empowerment and inclusion. Call for also a realistic understanding of resources – the more inclusive you are, the more expensive the process of including them is – e.g. the need to morally justify the intelligent maps effort, where each engagement in very expensive. 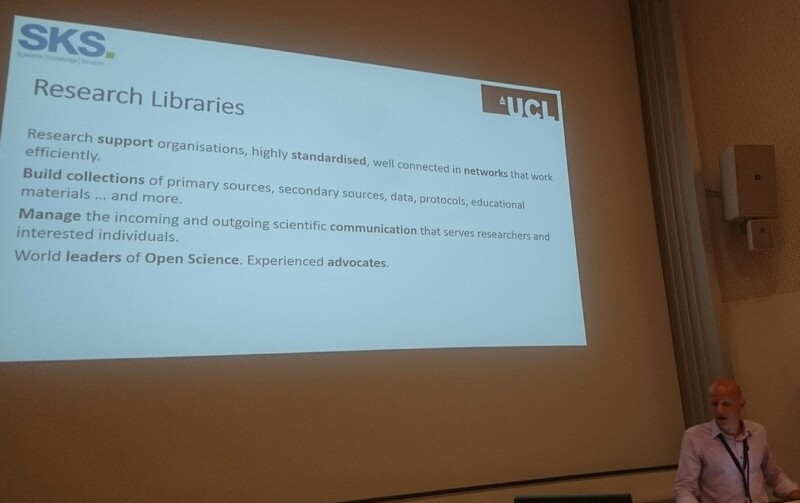 Libby Hepburn covered the issue of the global initiative of citizen science, which is providing an opportunity for different organisations and programmes to collaborate and the potential of leveraging the SDG to address societal challenges, demonstrate the needs for citizen science applications and use. The session’s discussion turned to different aspects of inclusiveness and the creation of an ECSA working group. Nina James, University of South Australia (AUS): Strangers, Stewards and Newcomers in CS – identities of those that participate – looked at 9 contributory project, 900 participants, and 1400 non-participants. It is very diverse fields – motivated by different things, she found in conservation 49-69 female mostly (70%). Different from non-participants. highly educated, sense of connection to the environment. First identity is environmental stewards – connected to nature, strong awareness, also actively politically engage, and participate in more than one projects. Science enthusiasts – participate in other cit sci, interested in science, interested in technology and confident about it, and less politically active. Also included in a project that there are introverts and extroverts (a project in a museum and also online). The men are topic oriented, motivated in science and technology, and in the outback in the fireballs in the sky that includes 77% men. There are newcomers – motivated by the topic. Millenials are in small percentage. The strangers are haven’t participated in citizen science – less politically engaged, lower education, too many conflicting interests. People are participating in different projects. The participation of female (70%) is an issue – result of an online survey. 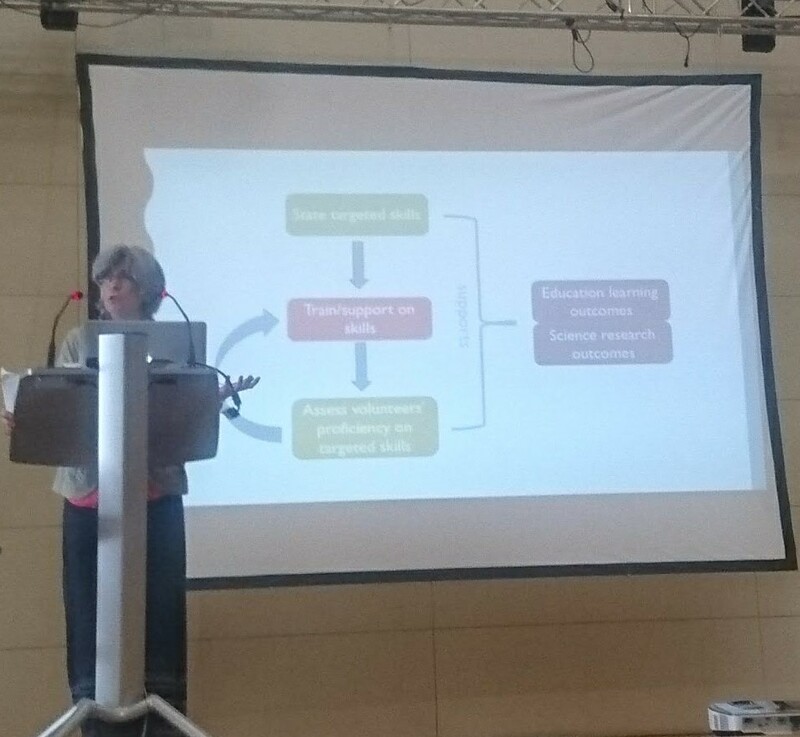 Cat Stylinski, University of Maryland Center for Environmental Science (US): Embedded Assessment of Skills in CS. 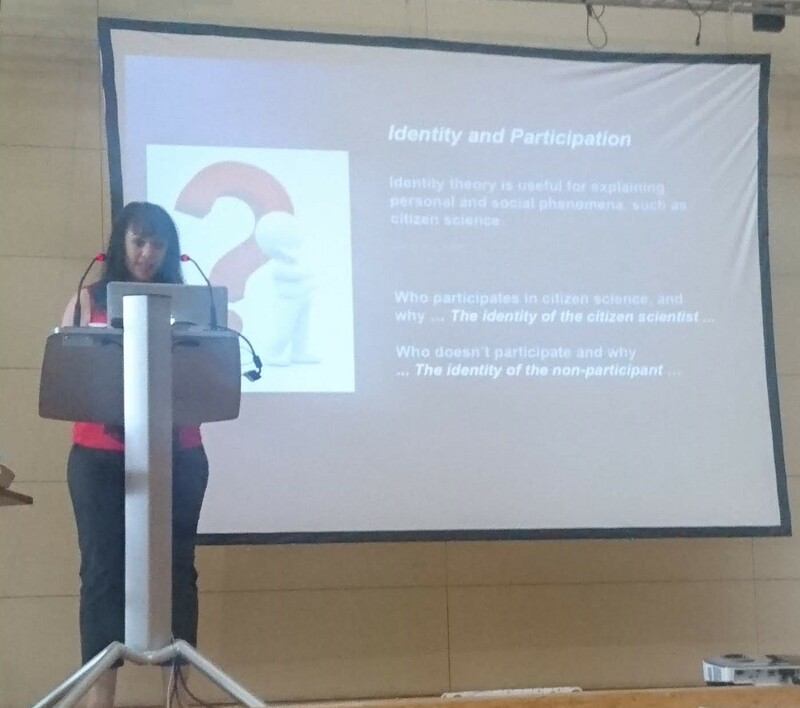 Embedded assessment in citizen science – provides an introduction. Volunteers need to develop skills in citizen science to participate, and this is important to upheld scientific standards. Need to identify the skills, train support, then assess the skills and then a need to think how this work. Assessment includes formal tests, informal observations, and data validation. Embedded assessment is done as people involved in the project – so giving an activity and then developing a rubric to compare what people did. Embedded assessment try to streamline the process – data validation is usually focusing on science variable, and instead of looking at the volunteers and how they learn the approach. Figuring out a new way to integrate the assessment with project’s process. 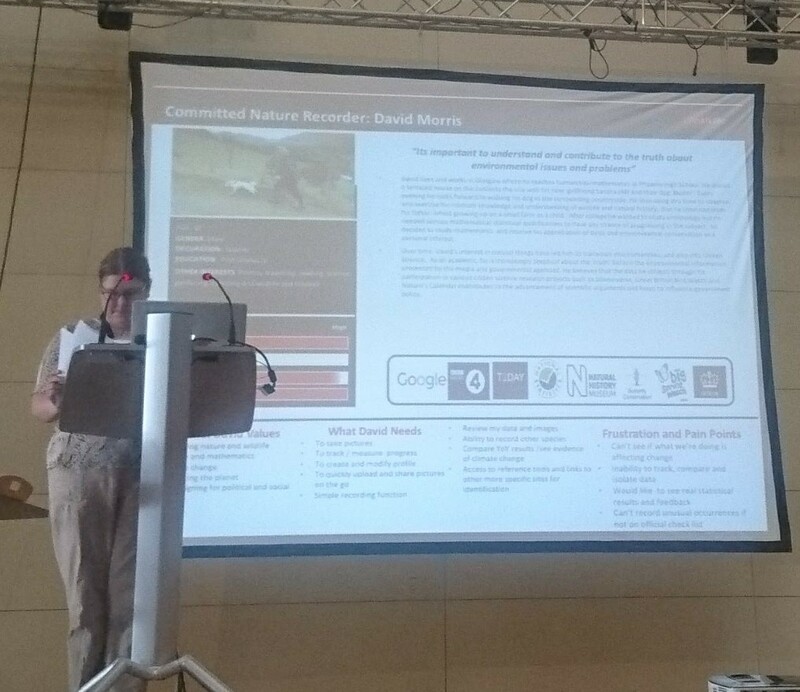 Kate Lewthwaite, Woodland Trust (UK): Engaging older citizen scientists in the digital era. A painful case study of moving people to a new website – working on woods and working with many volunteers in Nature Calendar – many recorders are over 60 and even 80. Important contributors to phenology. They wanted to move the website to a new system because of the technological change – but some people used the website for 10 years. Consulted with the scientific users of the data on improvements – better location information, ask the number of visits, and improving data about participants. Used persona for the design process. Overall the participants struggle much more than expected. Registration through verification links in email and needed to assist in copy and paste, and need to use an alphanumeric password. They haven’t read the website and couldn’t understand why there was a need to add a security information. The manipulation of mapping (survey123 style of moving the map) was confusing. Don’t do change – there was once a decade to do a change and plan support, expect more staff resources to make it happen, and they needed the support. They talked with 20 interviews and the development team explore the issue with infrequent users, That why they thought that everything is ready. Continue to run a paper-based system. They’ve lost some of the people in the transition, and don’t have the ability to provide an app, yet – it’s planned. Karsten Elmose Vad, The Natural History Museum of Denmark, University of Copenhagen (DK): What motivates families to do CS? evaluation of the Ant Hunt (mentioned in the previous post) – an experiment of food preferences of ants. Take several hours, capturing ant, and sending them. They focused on families with children 6-13, Denmark doesn’t have an after-school science. Put the researcher on video and she wrote back to participants. 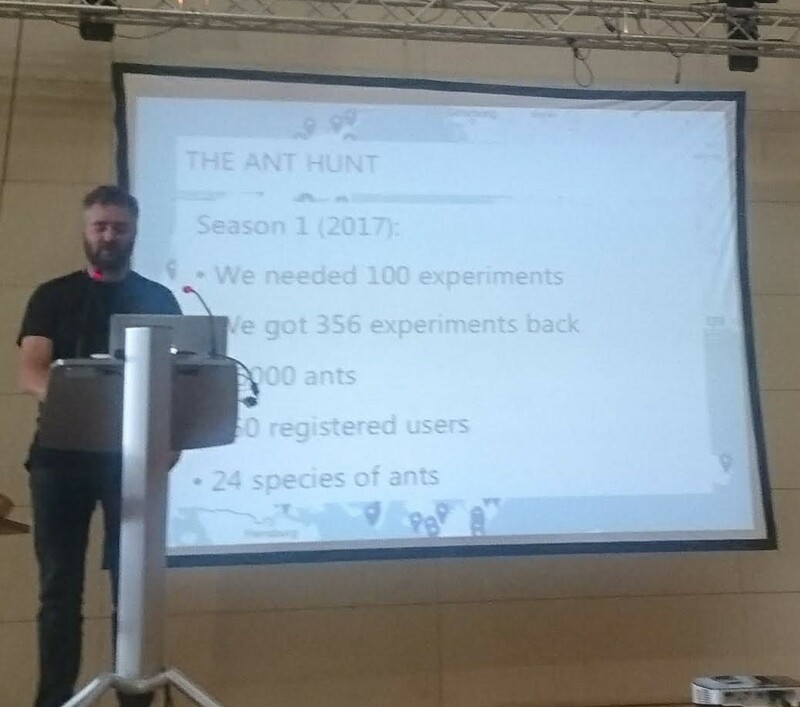 got 356 experiments, 260 users, 24 species and 6000 ants. The evaluation shows that for more people having scientists connected to the project it was the majority, and it was valuable for them to get a response from a scientist which coordinated the project – felts that it provide participation in something big and the opportunity to work with a scientist. Valuable cross-generation activity, open-ended experiment, the scientific method. They didn’t care about the competition. scientists´ level of engagement. Used the volunteer function index (clary & snider 1998) the analytical framework for voluntarism. Looking how these factors influence the programme – looking through an online questionnaire. 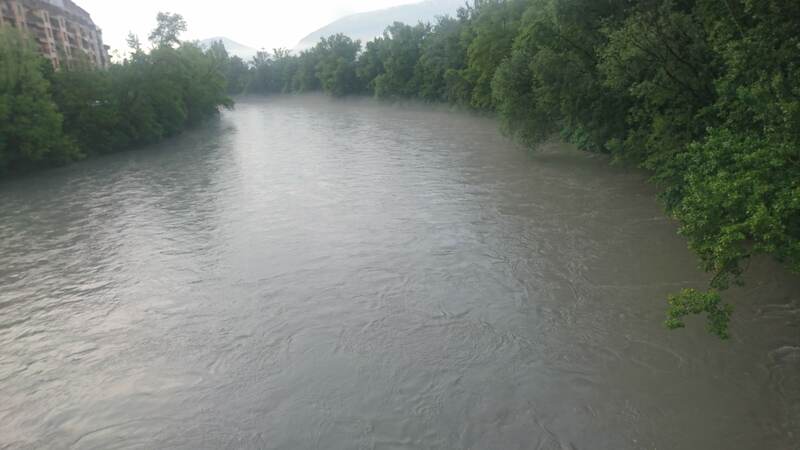 174 responses – more motivated to nature issues. It is important to understand motivation in relation to engagement. The initial motivation is not driving the level of engagement. 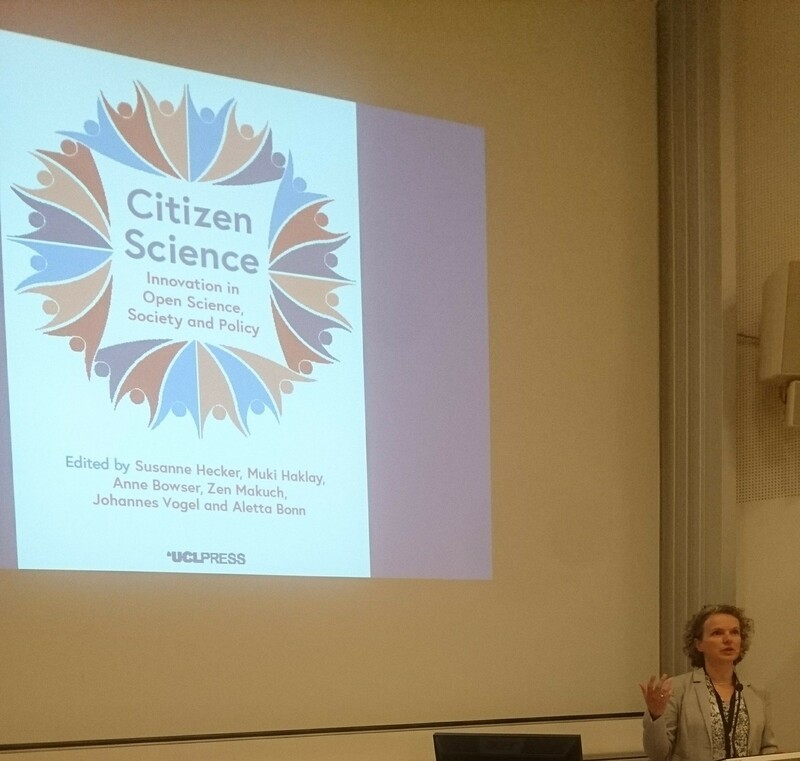 Claudia Appenzeller-Winterberger- – citizen science is engagement of scientists and of the citizens, and you need to think why are we doing it? Is we summarise the dialogue, it is about the question of scientists and let the public ask questions. Thinking global and acting local. We will have to think about these new questions: a lot of it is testing and doing citizen science.